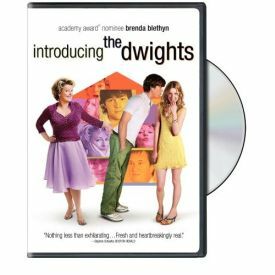 In its native Australia, Cherie Nowlan’s Introducing the Dwights was called Clubland, and you can see how that title could have been confusing to an American — or to a British — audience. The clubs of Sydney, where the film is set, feature magicians, ventriloquists, even a guy who imitates bird-songs. In short, they are leftovers from 1950s-vintage British music hall — or, as we would say, vaudeville — magically preserved in present-day Australia. Brenda Blethyn plays Jeanie Dwight, a now-ageing British-born comedienne specializing in the sort of double entendre humor that used to be thought of as "naughty" on the halls but has long since given way in the rest of the world to something much more raunchy — and much less innocent. Somehow she’s managed to hang on through all the changes in comedic fashion of the last 30 or 40 years — to hang on, but not to make a living at it. Yet she continues to live in hope. Now, she says, "I’m going to become a gay icon." But when she gets what she sees as her big break, an audition with Australian television executives, they see her humor as "too phallocentric." In her less optimistic moments, Jeanie clings to whatever cold comfort she can derive from the fancy that she had been headed for super-stardom until, as she tells her two sons: "you boys arrived and brought a luminous career to a grinding halt. Not that I’m bitter." Her sons are Tim (Khan Chittenden) and Mark (Richard Wilson). Tim is trying to make a go of it as a free-lance mover with his own truck, for which mum has co-signed and in which he takes her to her evening gigs. She takes the bus to her day job as a short order cook in a diner. Mark is mentally handicapped and spends a lot of his time home alone, locking himself in the bathroom, according to mum’s instructions, if anyone comes to the door. The boys’ father, John (Frankie J. Holden), once had a hit single for three weeks in the 1970s. Now, divorced from their mother, he’s working as a security guard in a supermarket and self-producing a CD of his covers of Conway Twitty’s greatest hits. The plot is set in motion as Tim, though he is painfully shy and inexperienced, falls in love with Jill (Emma Booth). When, after a number of false starts, they are able to consummate their relationship, he feels the need to make a clean breast to her and confess his shameful secret: "Jill, you know my mum, and my dad as well, they’re — entertainers." We can only imagine what connotations of failure, bitterness and embarrassment that word must carry for him, who has lived all his life in the shadows of his parents’ ambitions and the heavy disappointments they’ve given rise to. Clearly, he has no such ambitions himself, though he is a good sport about theirs, even when his mother pulls him out of the audience one night in front of Jill and puts women’s clothes and makeup on him. All depends on Tim’s sweetness of nature and almost virginal innocence. They are the delight and the despair of poor Jill, as they are also what provide a hold for his mother to keep her grip on him. Mark, too, has to cling to Tim because he knows what a slender emotional support his parents can provide. "Did you have a nice evening?" Jeanie asks one night when Tim returns home from a less than successful sexual encounter with Jill. She manages to keep one emotional step ahead of her own failures by continually reminding the boys’ of theirs. "I hope this isn’t going to be the Samantha story all over again," she says to Tim, reminding him of a previous girlfriend — by whose name she slyly addresses Jill on their first meeting. There’s also "the Kentucky Fried Chicken episode" or "the Sea World episode" that she hopes not to have "all over again." We never learn what any of these "episodes" were, apart from reminders of past failures and talismans against the failures of the future. The worst of these, so far as Jeanie is concerned, is losing Tim, as she sees it, to this slim, pretty young girl. For her it is like losing another luminous career, and she fights to take him away from her with emotional intimidation and blackmail. But Jill is no pushover either, and it is her performance as much as that of the monster-mum that makes this picture so successful. True, the peripeteia in which mum changes, literally, overnight is accounted for in only the most perfunctory fashion, but I was too charmed by the rest of the movie to get unduly indignant about that. This is a coming-of-age and breaking-away movie of a peculiarly Australian kind. It’s also a study in failure and self-deception, but a joyous and a touching one. Don’t miss it.